Little Brown Jug Junior Golf Classic returns after 1-year hiatus. 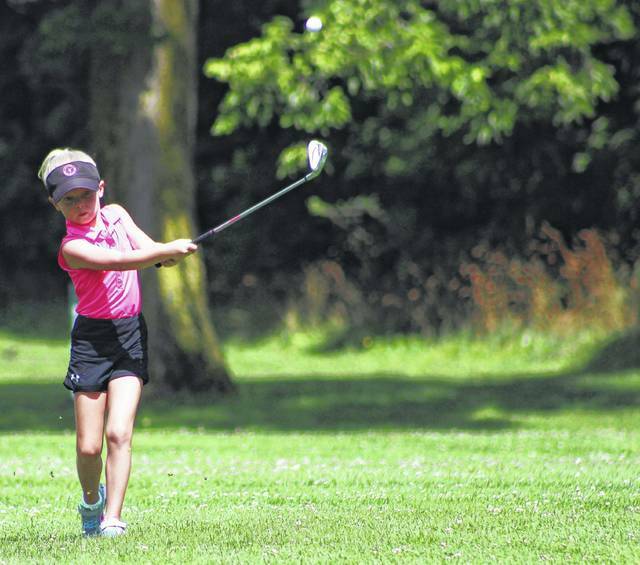 Brooke Setmire, an elementary school student in the Big Walnut Local School District, hits an approach shot during Saturday’s Little Brown Jug Junior Golf Classic at Hidden Valley Golf Course. 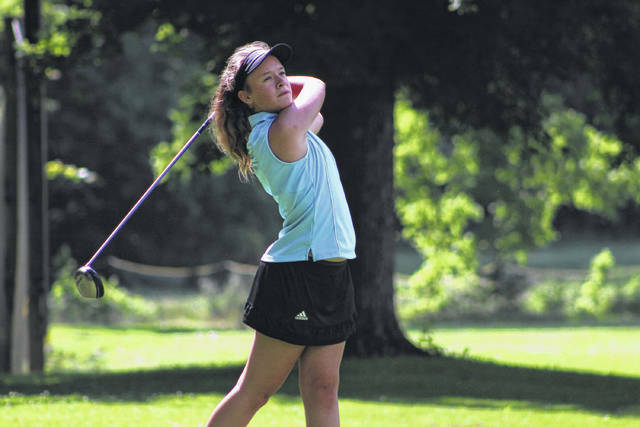 Madison Bricker, a student at Delaware’s Dempsey Middle School, follows her tee shot on the final hole of Saturday’s showcase at Hidden Valley. Well, a year and a date change. The Little Brown Jug Junior Golf Classic, after a one-year hiatus, is back. The most recent rendition, Saturday afternoon at Delaware’s Hidden Valley Golf Course, was a success. It’s a tourney that quite possibly wouldn’t have happened without a few changes, though, with the date at the top of that list. The move to early July solved that problem. “I just want to thank Jim Jackson (Chairman Emeritus of the Little Brown Jug Junior Golf Classic), who passed away in February,” Dave Wilson, who has helped out with the event for more than a decade, said. “He did a great job saving this event 20 some years ago. The golfers were certainly smiling out on the course. First-time competitor Madison Bricker, a 13-year-old student at Delaware’s Dempsey Middle School, said she had a great time. Anything that’s lasted 42 years takes a lot of work to sustain … and Saturday’s showcase was no exception. Scholte said it wouldn’t have come together without the help of Hidden Valley Golf Course and the Kiwanis Club of Delaware, Noon Club — the primary sponsor. The youth tournament featured divisions broken down by age and gender. Boys and girls groups included kids 7-8 years old, 9-10, 11-13 and 14-17. A list of divisional winners will be published with a group shot of all the participants later this week.